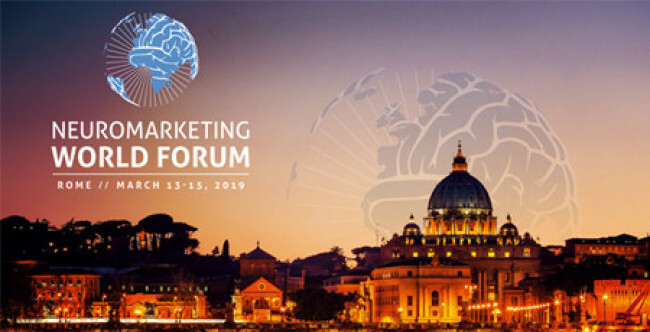 In March, we headed to Rome for the Neuromarketing World Forum to bring you the latest research in the field and discuss what teachers, students, and lifelong learners can gain from a deeper understanding of the discipline. Here are some of our insights. During the opening workshop, Michael E. Smith, Founder and Principal Scientist at Adaptation Research, defined neuromarketing as the “application of methods from experimental psychology and neuroscience to the problem of understanding consumer behavior.” This process involves everything from EEGs to facial expression analysis to eye tracking (methods known as biometrics), and its primary function is to help companies interpret and predict people’s decisions—often more effectively than they can interpret and predict their own. It’s a “design discipline,” meaning it provides companies with insight into how best to design their products and advertisements to guide decision-making one way or the other. Why Do We Use Neuromarketing? In short, because we frequently don’t know what we truly think or feel, even if we think we do. Smith highlighted the fact that emotional processing and non-emotional processing navigate different neural pathways, and neuroscience helps researchers parse out which behaviors came from which pathway. In this way, they can see through that “rational” explanation you might give in a self-report and pinpoint the true emotional motivation behind your behavior. Not only does neuromarketing offer a way around these “limits to the accuracy of introspection,” but it also lets us circumnavigate various types of cognitive biases such as response biases arising from cultural differences. For instance, you might be part of a culture in which it’s undesirable to stand out from the crowd, which may influence the way you respond to surveys about your likes and dislikes. Neuroscience could catch your true feeling about a product or topic before you give that biased response. Other research motivations include aligning products and ads with the way attention and memory work in the brain. “The brain is a metabolically expensive piece of equipment,” Smith said, comparing its energy use to that of a 10-watt incandescent lightbulb. Neuroscience helps marketers create ads that are engaging and memorable. What Technologies Are Used in Neuromarketing? The technologies used in neuromarketing are fascinating. Researchers use both behavioral and physiological measures to gather data. How Is Neuromarketing Relevant to Education? You don’t have to work in marketing and advertising to gain something from neuromarketing studies. In fact, educators and students should pay attention to the latest research to deepen their understanding of learning and the brain. Many of neuromarketing’s most useful insights have to do with motivation, curiosity, and engagement—three areas that couldn’t be more relevant to education. With that, here are ten lessons about the brain from neuromarketing that apply to teachers, students, and lifelong learners (that’s all of us). Brain scans show that the experience we have in a particular moment may be different from the experience we remember, due to the fact that the brain thinks of itself differently in the present versus in hindsight. A particular part of the brain related to reward and emotion—the nucleus accumbens—is often triggered during the actual experience, whether we’re aware of it or not, and whether or not it is triggered when we’re recalling the experience. As an educator you may want to keep this in mind, for example, when there’s a mismatch between what students say they’re motivated by and what you actually observe. 2. We look forward to rewards before we choose to pursue them. Research on reward anticipation shows that we often make decisions before we’re conscious of the fact that we’ve made them. One study, “Prechoice brain activity predicts purchase decision in virtual shoppers,” used EEGs to reveal that people’s brains anticipate rewards seconds before a decision is even made. This research could be useful in creating rewarding learning environments to enhance student engagement. 3. Emotions can be triggered well before they are experienced. Behavioral and physiological measures show a lag in time between a stimulus being presented and an emotional response being experienced. This is a significant finding for multiple reasons, one being that we often gauge the influence of things around us by our immediate reaction to them. Neuromarketing studies tell us this is a faulty approach. It often takes the brain time to process emotions, and if we have a response to a stimulus a few hours or days or even weeks after being exposed to it, that “lag time” doesn’t make our emotions any less real. 4. The most direct way to influence someone is to target their sense of self. Neuromarketing research confirms what psychologists call the self-referential bias: we are powerfully influenced by things that have to do with us. In fact, there’s a separate network in the brain for self-referential information. If that’s not convincing enough, consider the fact that if a message activates this network—which is based in the medial prefrontal cortex—it can directly change a person’s behavior, prompting them to make one choice over another. In an educational context, the lesson here is clear: make learning personal. 5. Self-transcendent thoughts make us more likely to engage in otherwise intimidating activities. A fascinating study led by Emily Falk found that people are more likely to respond positively to health messages (i.e. being prompted to exercise) if they first experience feelings of self-transcendence or compassion: “Focusing on values and activities that transcend the self can allow people to see that their self-worth is not tied to a specific behavior in question, and in turn become more receptive to subsequent, otherwise threatening health information.” Whereas participants reacted defensively to health messages at first, they embraced the messages when primed beforehand to think about the well being of others, such as their children and other family members. This could be a highly useful way to enhance student motivation, or possibly your own learning: instead of using reason to convince an individual to do something, elicit a feeling first, especially one that has less to do with selfish rewards and more to do with the social good. 6. There is a “gloating” area in the brain. In his talk on improving decision-making, Giorgio Coricelli, Associate Professor of Economics & Psychology at the University of Southern California, says we can learn a lot from regret and envy, which occupy different parts of the brain. Regret can be a motivating emotion, but envy can be even more powerful since it requires another person. When we want something that someone else has, we work even harder to get it than if we are motivated by regret. On the flip side, being on the winning side of social comparison is a universally enjoyable human experience. The brain (specifically the medial prefrontal cortex) likes to outdo others, especially when our success is the result of having made a different choice from that of everyone else. 7. Behavior is heavily influenced by mood. During last year’s Super Bowl, neuromarketers conducted a live study using Shimmer, a tool that measures galvanic skin response. They wanted to know whether viewer responses to certain commercials were influenced by preexisting emotions during the game. They found that Eagles fans, who were already excited to be there because the Eagles were the underdog, showed higher levels of arousal to commercials than Patriots fans. This continued to be true throughout the game, whether the Eagles scored a touchdown or not before the commercial (though arousal was, of course, comparatively higher after a touchdown than no touchdown). Similarly, FIFA studied emotional engagement, attention, and eye tracking to assess how viewers’ moods affected their emotional response to ads. ESPN now uses an algorithm to determine which ad to place, when, and to whom based on a team’s performance. The point is to target the emotions of viewers and elicit a specific response to the ad. No one is suggesting using Shimmer on students, but teachers should consider the fact that students are especially primed to learn and remember material when they are emotionally engaged. 8. The brain loves stories. In his talk on the ROI of neuromarketing, said that although much more research needs to be conducted to determine the true value of neuromarketing across a variety of industries, it’s clear that stories and narratives continue to engage consumers and increase ROI. We know that creating stories helps the brain retain new information, so let’s continue using that tactic in the classroom. 9. We’re not as selfish as we think. Using eye tracking and other biometrics to analyze viewer responses to a creative video ad, Nielsen broke down the ad frame-by-frame and found that viewers were most engaged when the message was about community. New Balance then compressed the ad into these most effective frames, creating a more efficient product, and bumped their brand linkage up to ninety percent. This is a good example of how neuromarketing can work, but it also shows in this particular case that we are social creatures motivated by our relationships with others. In this sense, paying attention to neuromarketing studies can offer us insights on the human brain that can be reapplied in other fields, including education. 10. Sometimes it’s just the weather. The brain is a mysterious organ, and much of our behavior cannot be explained rationally. That said, sometimes the simplest answer to a question on human behavior is the right answer. In his talk on the ROI of neuromarketing, Roeland Dietvorst, Scientific Director of Alpha.One, mentioned a study he’d been a part of for a chocolate milk company in the Netherlands. His job was to figure out why consumers were buying less chocolate milk one winter, when sales usually went up. The study cost the company twenty five thousand dollars and proved to be one of the “most boring” projects Dietvorst had ever been a part of. At the end of the research period, his team finally realized that the reason people were buying less chocolate milk was because it had been a warmer winter than usual—which had very little to do with brain or brand, in the end. Neuromarketing is an exciting and enlightening field to follow, even if you’re not in marketing. Already, it’s expanding ideas around which research questions we should be asking in a wide range of disciplines. In an especially insightful, boundary-pushing talk on “Keeping the ‘Neuro’ in ‘Neuromarketing,’ Brendan Murray, Vice President of Global Enablement Services at iMotions, urged the audience to think of neuromarketing not in terms of new technologies that can answer old questions about the brain, but rather in terms of new questions we can ask thanks to these technologies. After all, that’s the point of education: to keep pushing the limits of the mind.